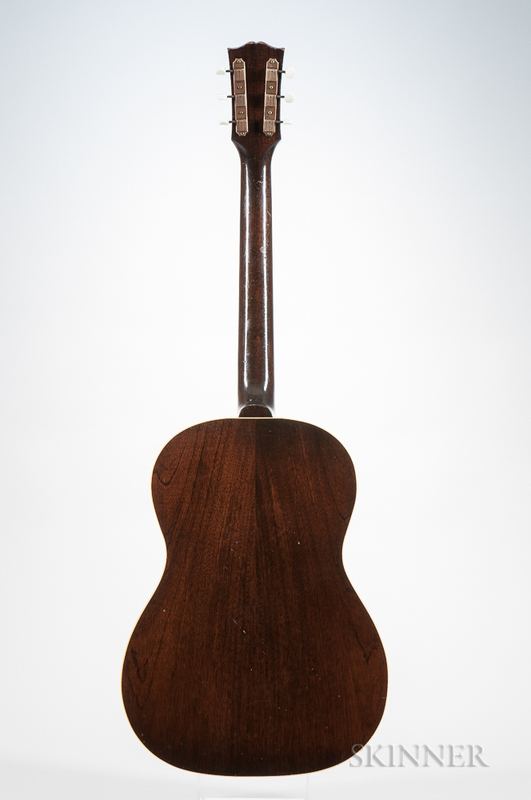 Gibson LG-1 Acoustic Guitar, c. 1950, factory order no. 5430 29. Numerous top cracks. Back, neck, and sides in good condition.